1.) 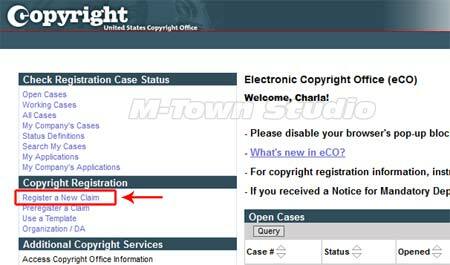 Go to copyright.gov and click the image that has the “e” on it with the words Electronic Copyright Office. Note: On this window you can also keep up with your applications and the status. 6.) 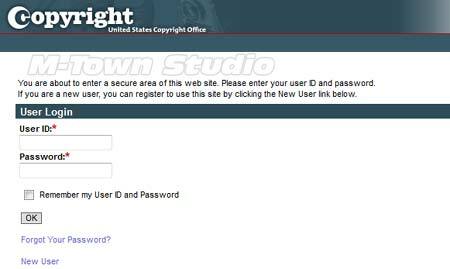 On the next screen you will be presented with the (3) steps in which the online registration will take place. Step 1. Complete an application, Step 2. Make payment and Step 3. Submit your work. To start the registration process you must click the green “Start Registration”. 7.) Next, select the type of work you are submitting from the dropdown menu. 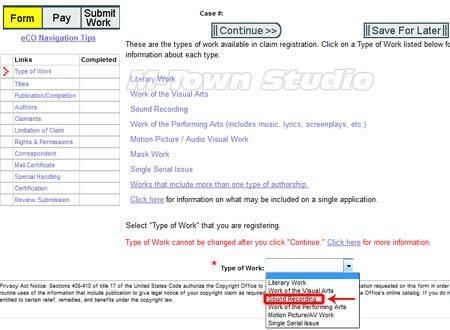 Once you select they type of work you are submitting, it cannot be changed. 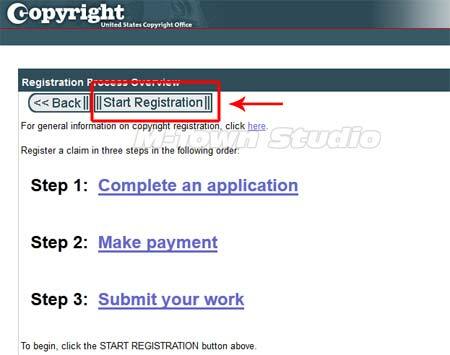 Note: Use “Form PA” if you’re only interested in registering the song work and not the actual recording. Use “Form SR” if you wish to register both the sound recording and the recorded musical, dramatic, or literary work(s), along with the sound recording of the work(s). “Form SR” can also be used to register a particular recorded performance. 8.) You will be asked a series of questions, which will include information about yourself and where the copyright certification should be sent. 9.) Next, make the payment of $35 to the Library Congress via credit card, debit card, electronic check, or through your copyright office deposit account. If you don’t have your audio in one of the available formats, you also have the option of mailing in your work(s) on CD in jewel case, which must be shipped in a box. The fee to file by postal mail is $65 and must be paid by check or money order.